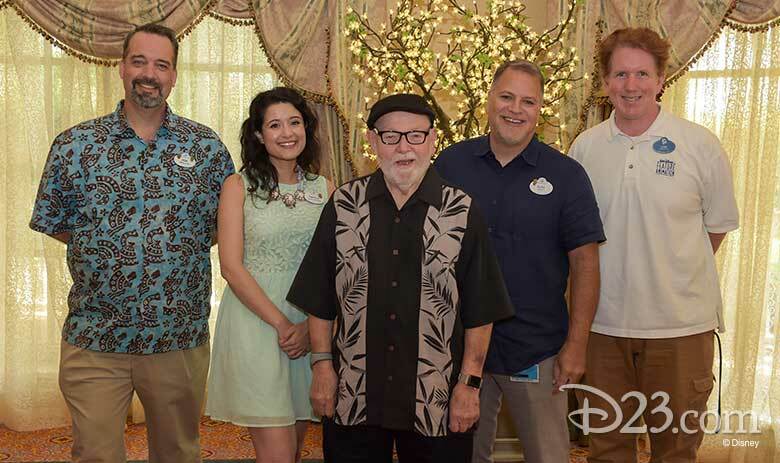 On Friday, D23 Members filled the beautiful Whitehall Room at Disney’s Grand Floridian Resort and Spa, for a legendary luncheon to celebrate an epic milestone—the 65-year service anniversary of Disney Legend Burny Mattinson! 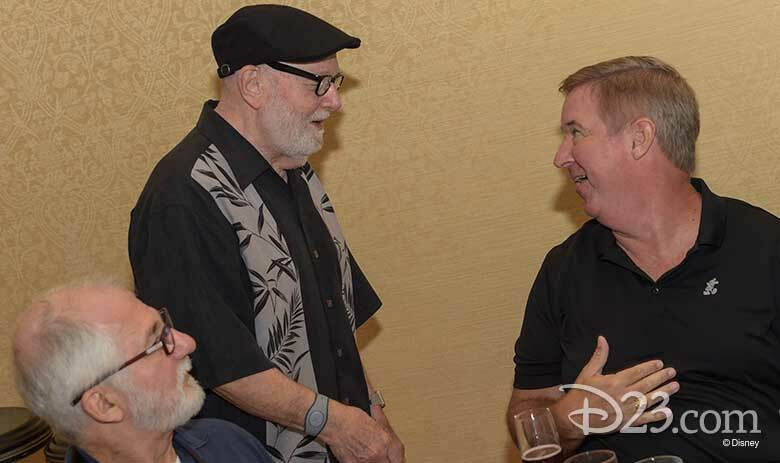 The intimate Victorian venue, chosen to celebrate the 30th anniversary of Disney’s Grand Floridian Resort, provided a chance for D23 Members to get to know Burny and celebrate his incredible career at Walt Disney Animation Studios. 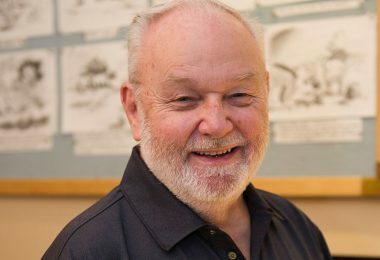 As of this year, Burny is the longest-tenured employee in The Walt Disney Company’s history! 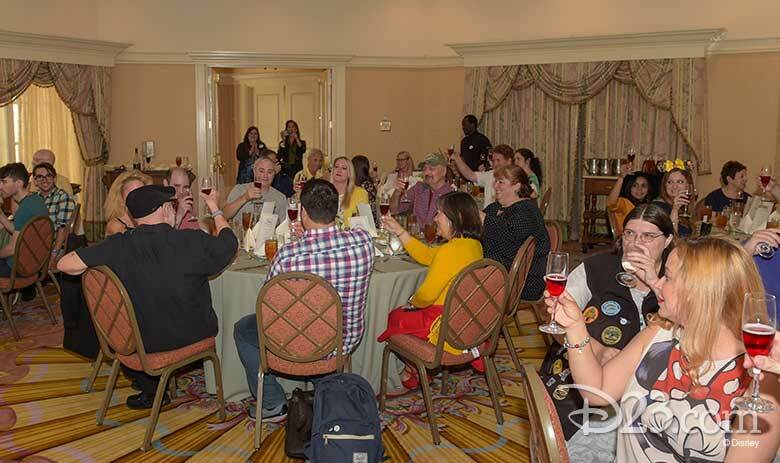 Our celebration kicked off with a surprise champagne toast to Burny Mattinson, given by Resort Manager Cris McFarlin, followed by a heartfelt introduction by Disney Creative Group’s Senior Character Artist Alex Maher. 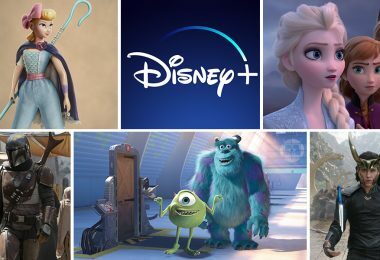 Alex talked about how Burny’s incredible journey from Studio traffic boy to Disney Legend has inspired artists at the company for decades. Guests then had the rare opportunity to hear firsthand about Burny’s legendary career. He began with a story about meeting Walt Disney for the first time back in 1953. “It’s just Walt,” he was told, after calling him “Mr. 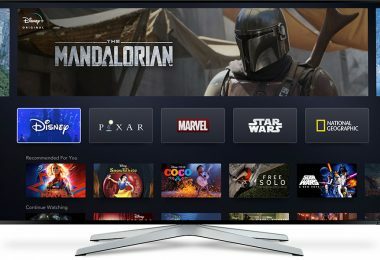 Disney!” Burny also shared his special connection to Winnie the Pooh. After working on Pooh’s earliest films, Burny got to reunite with the “silly old bear” for the 2011 film, Winnie the Pooh. 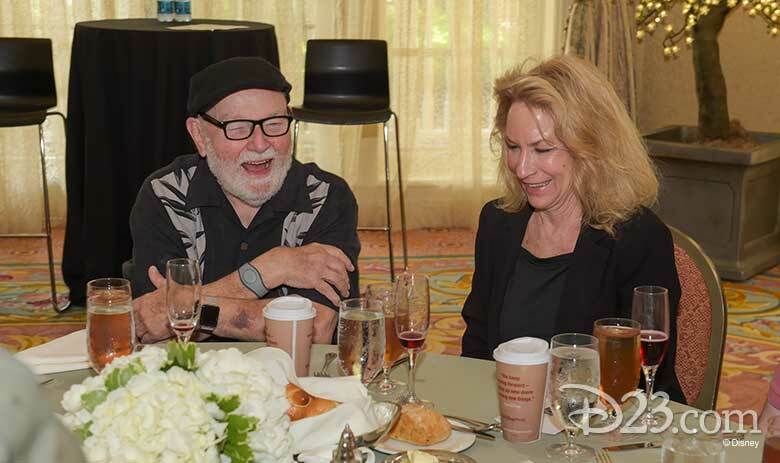 Luncheon guests were then able to ask Burny their own questions, and learned about many of the most special films to him—including Lady and the Tramp (the first film he worked on!) 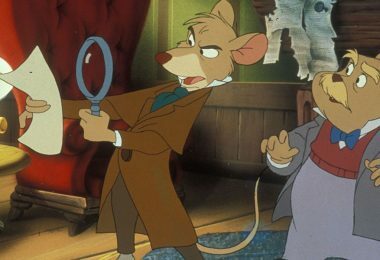 and Mickey’s Christmas Carol (an idea that he pitched and then directed himself!). 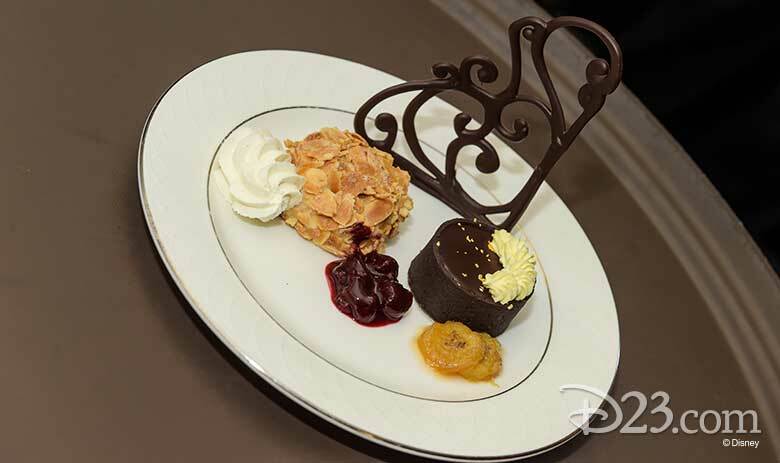 After the “animated” session, guests were treated to a three-course meal inspired by 30 years of the Grand Floridian’s culinary classics—signature dishes from many of its restaurants. 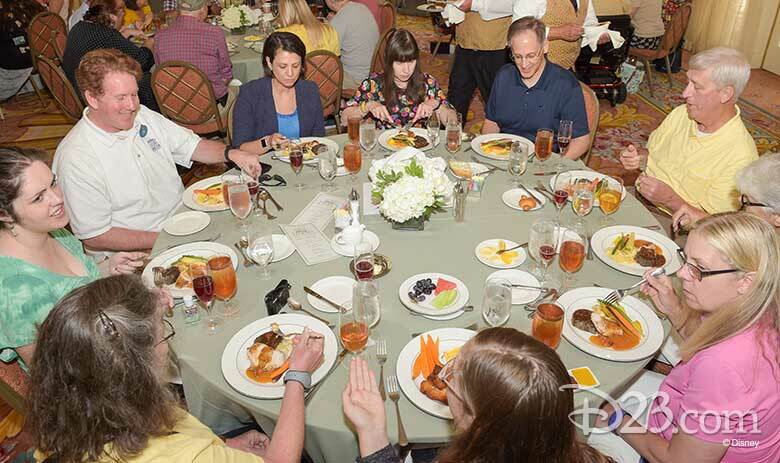 At each table, guests were joined by Burny and special guests with special connections to him and Disney’s artistic legacy: Ron Cohee, Fabiola Garza, and Alex Maher (Disney Creative Group), Lon Smart (Character Artist and Designer for Walt Disney Creative Entertainment and Imagineering), Garth Burkhard (Walt Disney Animation Studios), and D23’s Justin Arthur. 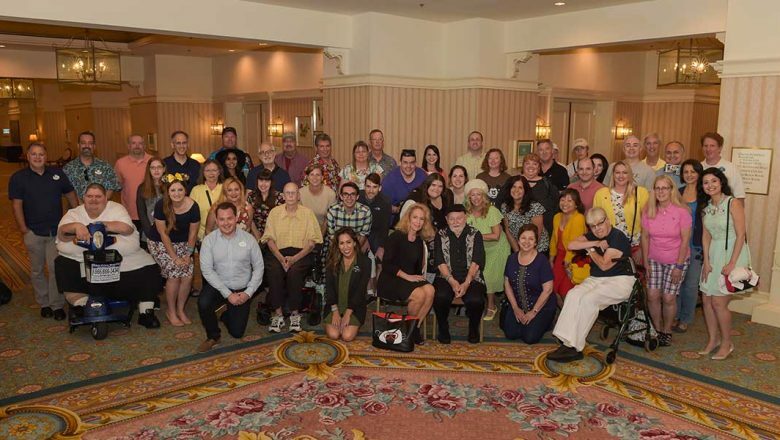 After a sweet duo of desserts, guests gathered for a group photo to commemorate the occasion, with Burny front and center! 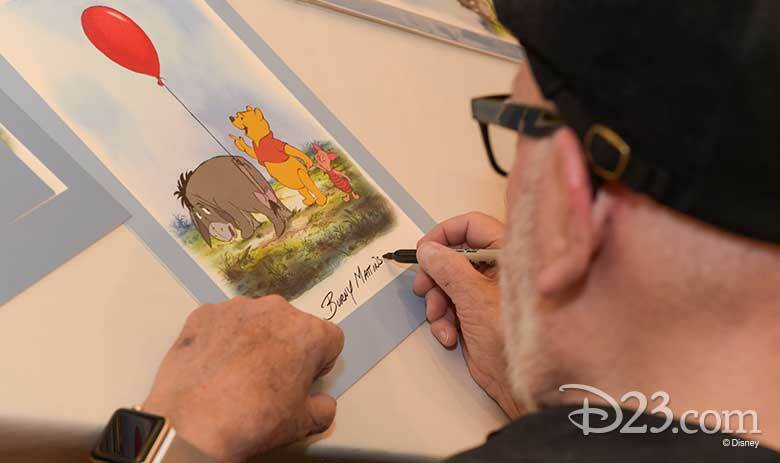 If that wasn’t special enough, each attendee received a special hand-signed lithograph, appropriately featuring Winnie the Pooh, created by Burny just for this event! 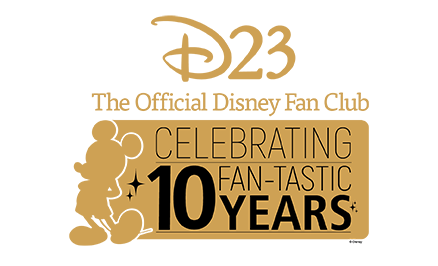 Congratulations to Burny on his milestone anniversary, and thanks for celebrating with us, D23 Members! 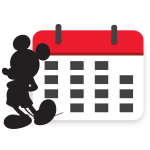 We look forward to sharing details on upcoming Lunch with a Disney Legend and other D23 events in the near future! 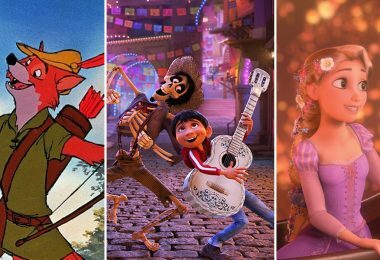 Click here to explore D23’s 2018 calendar of events. 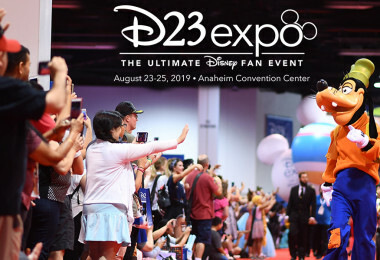 The D23 Expo 2019 Dates Are Here!